What's a more popular name for a dog in Anchorage: Zoey or Rummy? To find out, bound over to the Municipality of Anchorage's "open data" website. Officials recently published a searchable database of the names of all licensed dogs in the city, from Buster Sharp to Moose to Shebah Bear to Tigger. Brendan Babb, the city's chief innovation officer, got the idea from a group in western Pennsylvania. While on a recent tour of the Anchorage Animal Care and Control shelter, Babb asked about data on dog names. Animal control officials already had the data available, and it was easy to post to the city's open data site (data.muni.org), Babb said. The data site, launched under the administration of Mayor Ethan Berkowitz, is part of a trend of making public data easier for residents to access. 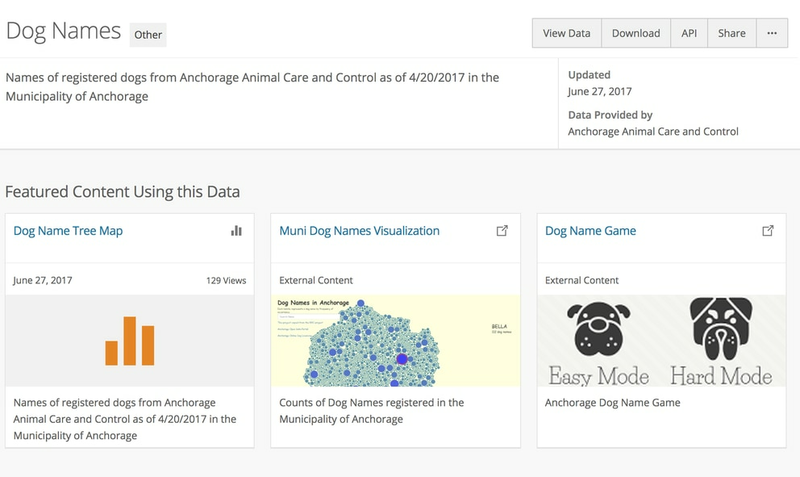 Officials recently published a searchable database of thousands of registered Anchorage dog names at data.muni.org. The site also contains a trove of data on Anchorage crime rates, homelessness, property values and inspections for child care facilities and restaurants. 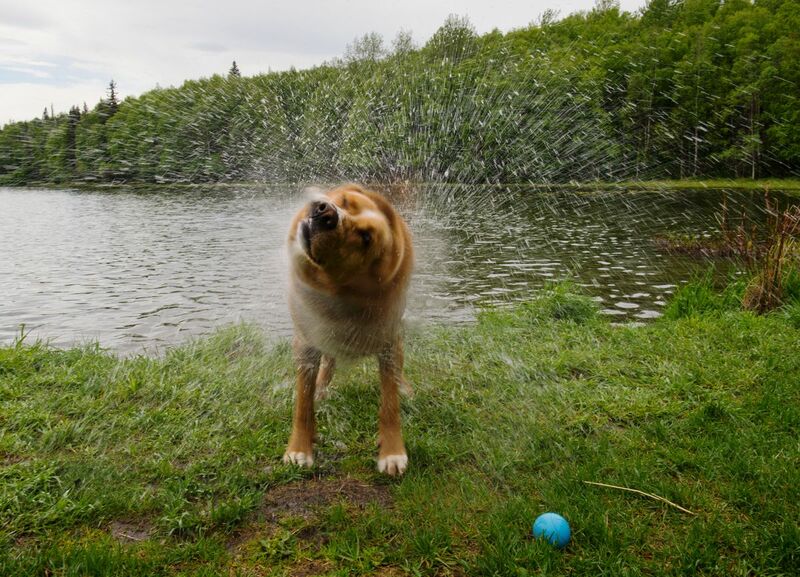 Under a section titled "Dog Names Data," charts and visualizations show that the most popular Anchorage dog name, shared by 112 pooches as of late June, is Bella, a national favorite. Lucy and Max were neck-and-neck at 82 dogs apiece. Of about 11,000 registered dogs, there were 4,100 names and therefore a lot of duplicates — but only one Zigmund at the moment, the data show. Don't see your puppy's name on the list? Maybe it's time to renew an expired registration or register the dog for the first time, Babb said. To accompany the raw dog licensing data, Hans Thompson, a volunteer from the citizen coding group Code for Anchorage, built a bubble-themed data visualization modeled on one built in New York City. Two other volunteers, Nigel Kibodeaux and Mark Meyer, built the interactive dog-name guessing game. Babb said the dog names will be regularly updated as new registrations come in.